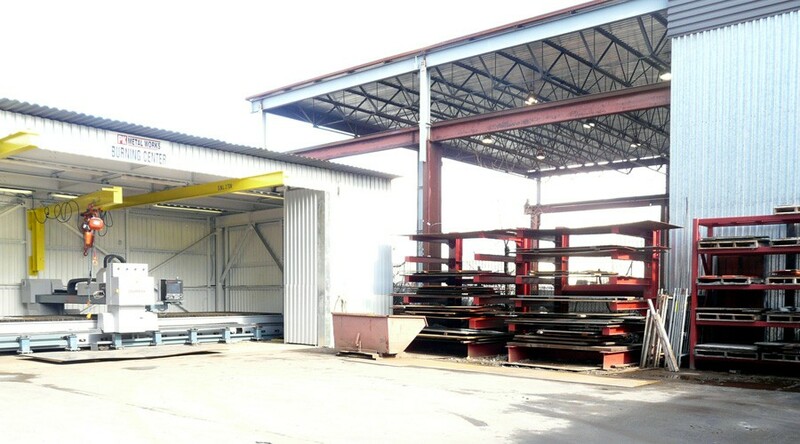 PK Metal Works Ltd. offers a complete metal processing service for our entire customer base. 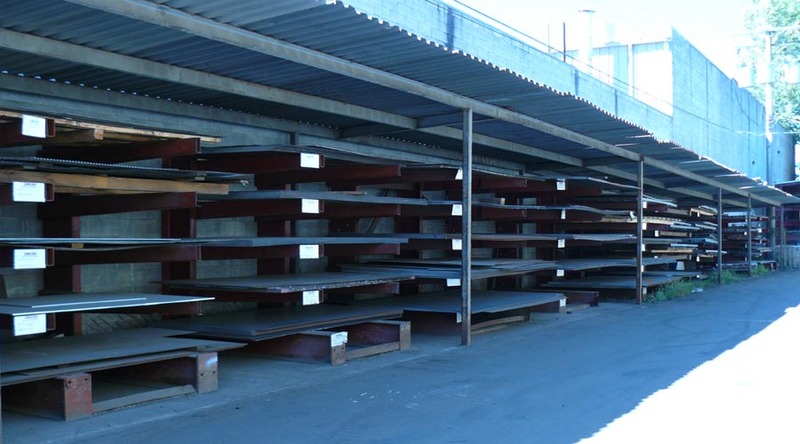 We shear and form many structural components as well as architectural steel; from stair pans to angles, from cones to enclosure guards and conveyor troughing. PK Metal Works Ltd. also forms many pipe line components such as doubler plates, eccentric reducers, concentric reducers, Tee's and "Ys". 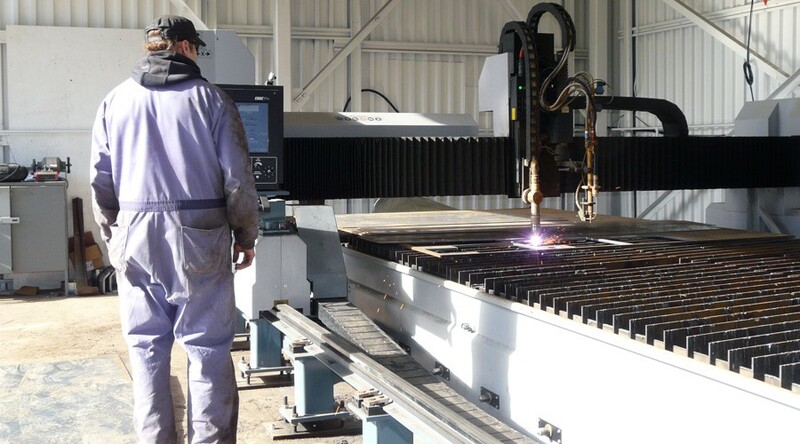 With our 32' x 8' CNC Plasma/OxyPropane burning table, we are able to design and layout various shapes in mild steel and stainless steel for forming. With our 250 ton brakes we are able to form up to ½" x 96". 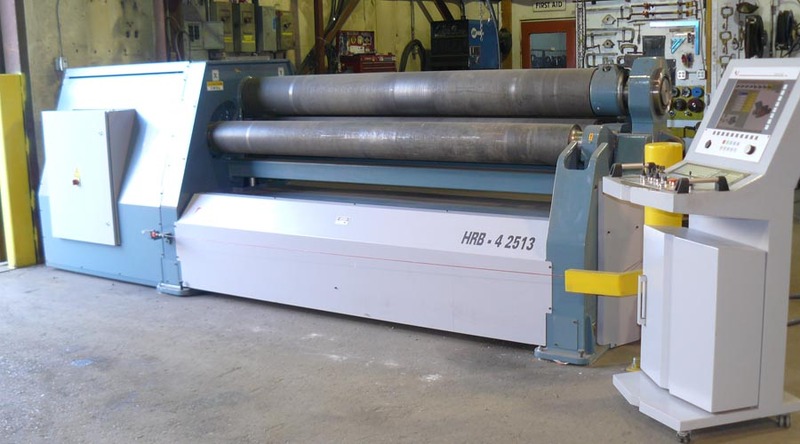 PK Metal Works Ltd. also forms a wide variety of conveyor troughing and components for many industries and is capable of shearing 3/8" x 120" 44W plate. We have formed truck boxes and trays to ft specific needs. 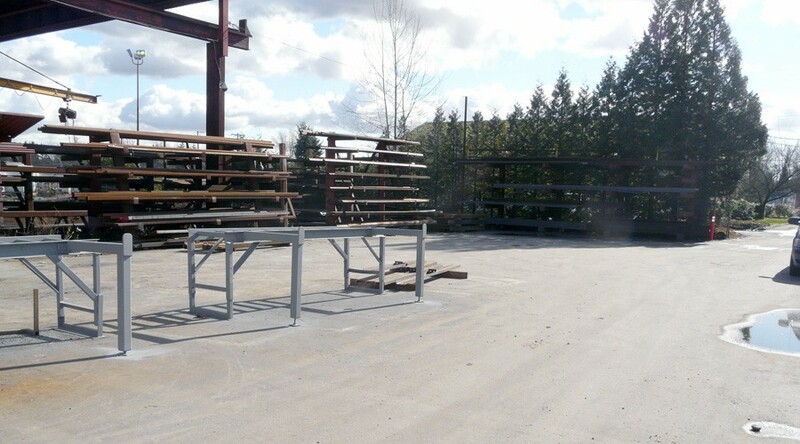 PK Metal Works Ltd. produces a wide variety of light fabrication; from control cabs to guards, from conveyor boots to take ups, from lock boxes to bollards, from railings to stairs for all of your fabrication needs. We are fully certified and offer a complete range of design and engineering services to insure your project meets your expectations. 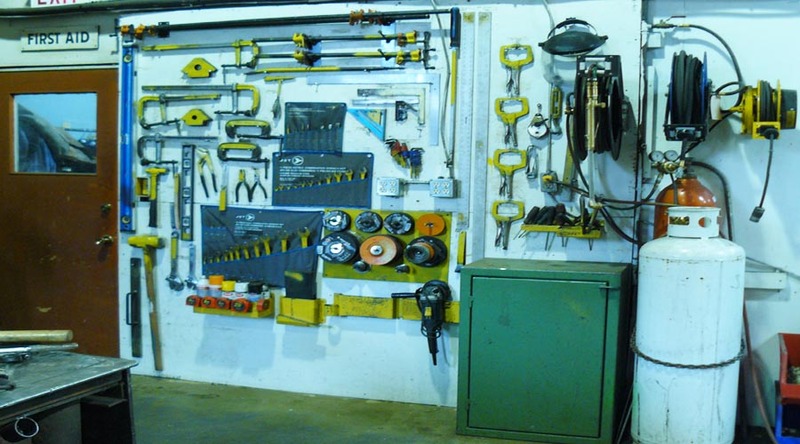 At PK Metal Works Ltd. we are a CWB certified shop with fully certified and ticketed welders to meet your needs. We also offer field services for when the need arises. 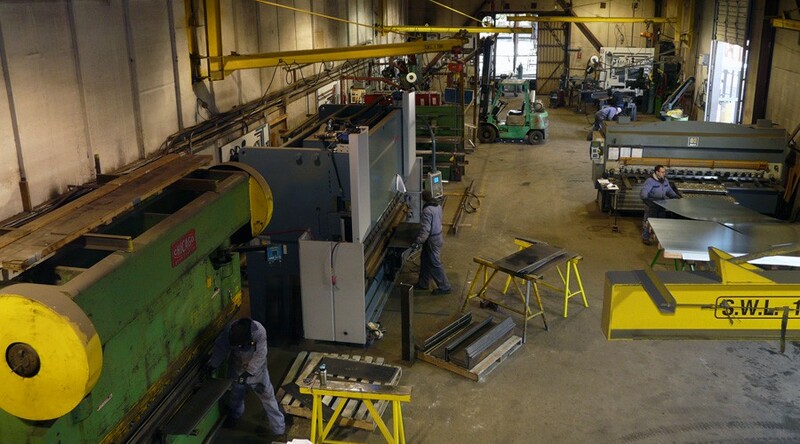 With our large selection of machinery and diverse skills, it is often more cost effective to allow us to fabricate for you.